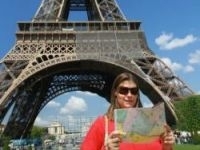 PARIS has been named the world’s most popular tourist destination for international travellers this year. The World Travel and Tourism Council – a forum for global leaders in the travel industry – named the top destinations as being Paris, London and New York, followed by the Turkish Mediterranean coastal resort Antalya and Singapore. The list was part of a study tied to the fact that for the first time a billion people will have travelled internationally this year. Factors leading to the rising figures are said to include fewer conflicts around the world – making travel safer – and rising prosperity in Asia, making foreign travel a possibility for tens of millions of people who could not afford it before. While France and the USA remain the biggest draws, the council noted that the fastest growth is being seen in certain destinations which were “off the tourism map” a decade ago, like Guatemala, the Dominican Republic and Ivory Coast.